While less than 8 percent of all car dealerships across the nation are owned by women, co-owner Patricia Ignarro is getting ready for a very - busy - summer. Route 112 Superstore co-owner Patricia Ignarro. Medford, NY - June 14, 2018 - While technically open for business as of this writing, Route 112 Superstore of Medford – a new pre-owned vehicle dealership that puts great customer service over making a quick buck – will be holding their Grand Opening event this Saturday, June 16th, at which time they'll be offering visitors food, music, face painting for kids, and a number of other celebratory activities in order to introduce themselves to the community. Route 112 Superstore represents something of an oddity in the world of pre-owned vehicle sales; a dealership co-owned and operated by a woman in an industry that is otherwise near-completely dominated by men. But according to co-owner Patricia Ignarro of Central Islip, she’s always been a hard-working go-getter throughout her life…no matter what her job title was. Before getting into the car industry, Ignarro resided in Connecticut and worked in the mental health field for 10 years, after which she moved back home to New York with her children; however, due to different licensing requirements in New York State, she was unable to continue in the nursing field. It was then that her sister, who was working at a car dealership at the time – a field that the vast majority of her family is involved in – invited Ignarro to try her hand at something new. Ignarro, however, said she wasn't immediately convinced that this new career path was a good idea. As time went by, Ignarro grew into her work and changed dealerships a handful of times, eventually becoming an ace car salesperson. However, there were still certain aspects of the job that she said she wasn't comfortable with, mostly involving having to constantly give customers the so-called “hard sell.” This all changed when she began working for a dealership called Auto Expo in Great Neck; starting as a personal assistant, she immediately impressed her boss with her keen organizational skills and hard-working, 'can-do' attitude. As before, it was suggested that Ignarro’s skills would be better utilized as a salesperson, and when she expressed her discontent with some of the stereotypical, underhanded sales tactics associated with that job, her boss assured her that this wouldn't be the case at his dealership. The money was rolling in, but it also got Ignarro thinking that if she was making this much as a salesperson, what would she be taking in if she actually owned a dealership herself? From there, she began picking the brain of her boss for details on every aspect of the pre-owned car business with the hopes of one day striking out on her own, and running her business her own way. About a year ago, Ignarro felt she was finally ready, and begin searching for the right dealership. The road to this point was difficult, as typically car sales is a male oriented endeavor; she noted that the demands of family life often preclude women from getting to the upper echelons of the business. However, with her drive and determination – in addition to her willingness to sacrifice – she was not only able to become the equal of her male counterparts, but in many ways exceed them. Ignarro eventually found out that a dealership in Medford known as Route 112 Superstore was on the market; with its owners doing a poor job of running the business and wanting to leave it behind, Ignarro and her husband Anton found this to be the perfect opportunity to come in, take over the operation, and carry out some much-needed improvements in order to make the floundering dealership a success. The fact that it was located in a highly visible area on a major roadway was one of the contributing factors to Ignarro’s decision to take it on, she said. However, the dealership itself needed a great deal of work to make it presentable, and the first thing she and her husband Anton - another veteran car salesman - did when taking it over was to give it a major makeover. Currently, Route 112 Superstore boasts an inventory of approximately 25 high-quality vehicles at any given time on their lot – with more on the way – and many of them are priced under $10,000. And keeping true to her word of shooting straight with her customers, Ignarro noted that her dealership is devoid of any hidden fees or deceptive pricing that is typically the norm in the used car industry. 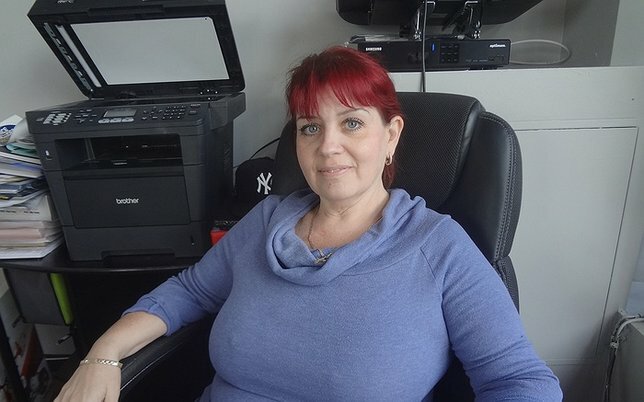 In addition to adhering to New York State Lemon Laws, Patricia also offers her customers a number of different warranties for purchase, and said that she stands behind every vehicle that she sells and will always work with her customers to make sure that they are happy and contented with their purchase. It’s all a part of her goal of making Route 112 Superstore the very best pre-owned vehicle dealership she can possibly make it. To find out more about Route 112 Superstore, visit their website at NYCarKing.com. Marketing & Public Relations Strategy: Are You the Face of Your Business? Subject: LongIsland.com - Your Name sent you Article details of "Girl Power: Route 112 Superstore Holds Grand Opening Celebration June 16; Women-Owned Small Business Adds Female Edge In Auto Sales"